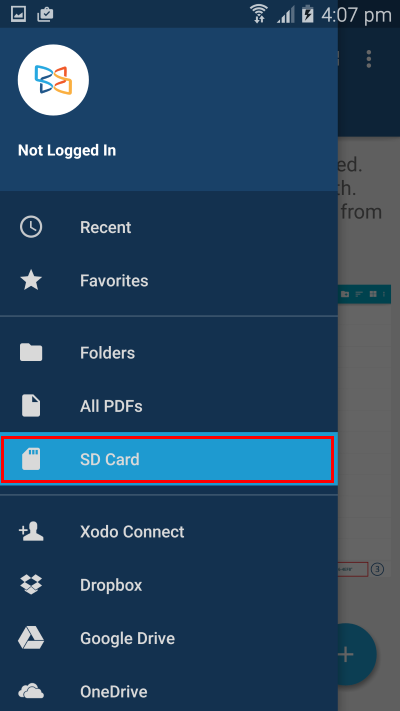 Important Note: If your device is KitKat, please check out this article on why Xodo can not support write access to SD card documents: Files opened from external SD card are read-only. 1. 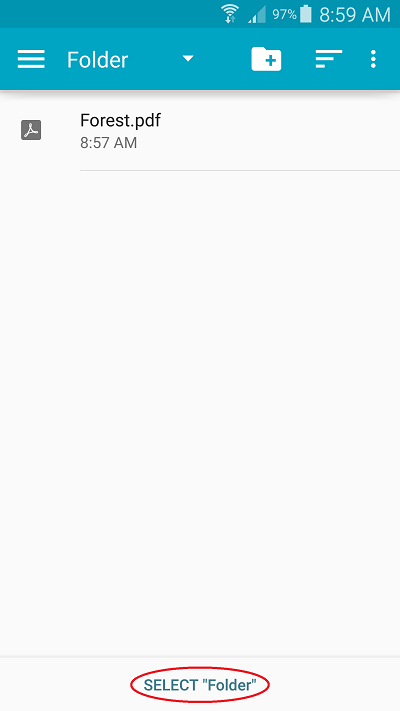 Tap the SD Card tab. 3. 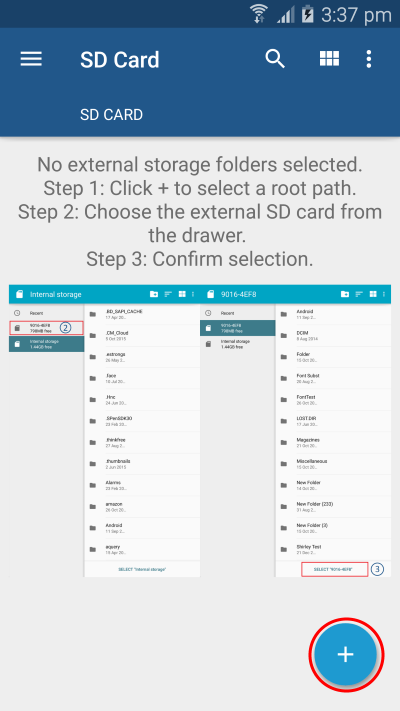 If you want to access the entire SD card, tap SELECT "SD-CARD-NAME" at the bottom. 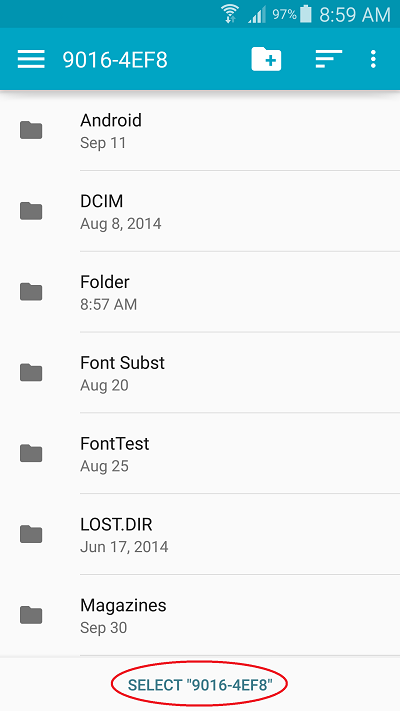 If you only want to access a specific folder or set of folders, navigate to that folder or set of folders, then tap SELECT "NAME-OF-FOLDER(S)" at the bottom. 4. Once you've accessed the SD card, you can manage files and folders on the SD card like you can on the other file browsing tabs.